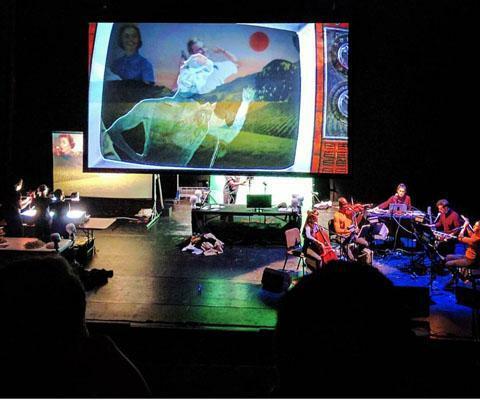 Join Manual Cinema every Saturday night during its upcoming Chopin Theatre run of The End of TV – that’s Saturday, July 21, July 28 and August 4 – for special post show performances featuring musicians from The End of TV band. Set in a post-industrial Rust Belt city in the 1990s and told through a collection of original 70’s R&B-inspired art pop songs, The End of TV explores the quest to find meaning amongst the increasingly constant barrage of commercial images and advertising white-noise. The production features Manual Cinema’s signature mix of handmade shadow puppetry, cinematic techniques, and innovative sound and music using vintage overhead projectors, multiple screens, puppets, actors, lo-fi live feed cameras, flat paper renderings of commercial products, multi-channel sound design, and a live music ensemble. Throughout, The End of TV is driven by a sweeping, original chamber art pop song cycle scored by two of Manual Cinema’s Co-Artistic Directors, Ben Kauffman and Kyle Vegter. 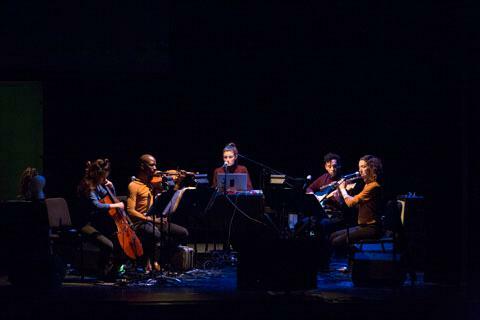 It is performed live, on stage by a seven-piece band: Shalynn Brown aka RED (drums), Maren Celest (vocals, live sound FX, live video mixing), Deidre Huckabay (flutes, vocals), Ben Kauffman (vocals, guitar, keyboard), Lia Kohl (cello, vocals), Marques Toliver (vocals, violin) and Kyle Vegter (bass). Manual Cinema’s The End of TV features an original 70’s R&B-inspired pop art song cycle by Ben Kaufmann and Kyle Vegter, played live on stage by a seven-piece band. Manual Cinema is presenting the Chicago premiere of The End of TV July 19 through August 5 at the Chopin Theatre, 1543 W. Division in Chicago’s Wicker Park neighborhood. Performances are Thursdays, Fridays and Saturdays at 7 p.m., Sundays at 3 p.m. Tickets are $30; $20 for students and seniors. Tickets are on sale now and can be purchased at manualcinema.com/cal. 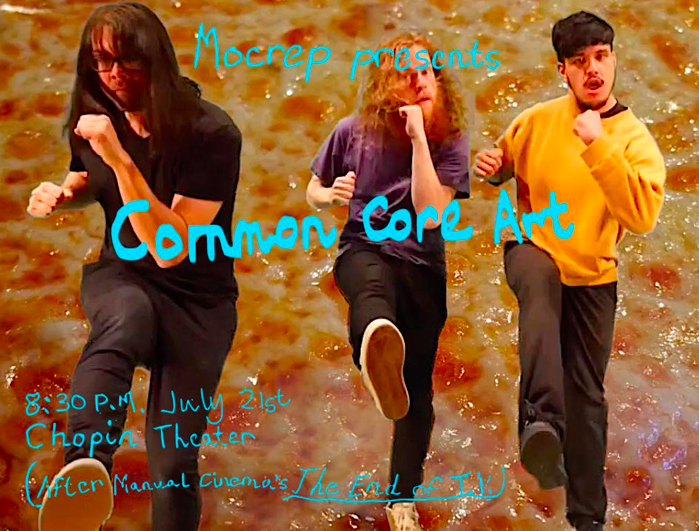 In Common Core Art, Mocrep takes seemingly menial tasks and make them almost unbearably difficult. Whether it is keeping a simple beat on the snare drum, reciting text, consuming food or water, or any other daily activity for an artist, Mocrep will do so in a way that stretches the performer to the limit, both physically and mentally. The piece will be composed of many different scenes that involve these kinds of tasks with as many extraneous layers and loops to jump through as we can find. For more, visit mocrep.org. 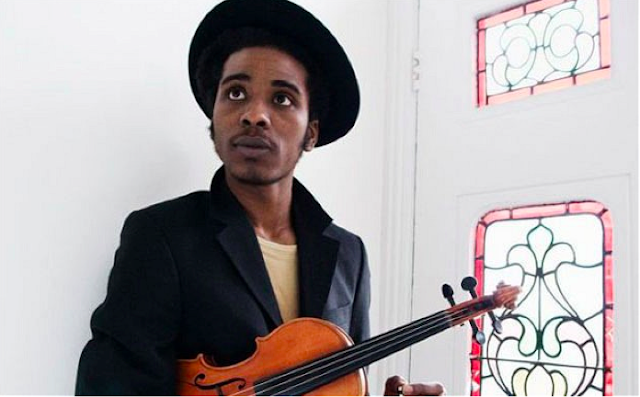 Marques Toliver is an international recording artist, songwriter, producer, violinist, and vocalist from Daytona Beach, Florida. He began to study music at the age of ten and later attended Stetson University's School of Music, where he studied classical violin. A move to New York, where he often busked, led him to performances and recordings with An Albatross, Grizzly Bear, TV on the Radio, Bat for Lashes, Holly Miranda, and Miles Benjamin Anthony Robinson. Toliver released the four-track EP Butterflies Are Not Free (2011). The single "Magic Look" (2012) followed as a precursor to Toliver's first album, Land of CanAan, released in May 2013. In 2016 Toliver composed music for The Public Theater’s production of Romeo and Juliet. For more, visit marquetoliver.com. Maren Celest is a multi-disciplinary artist living in Chicago. She works with Manual Cinema triggering live foley and singing. She has assembled a band of incredible musicians (Kate Barutha: cello, Daniel Villareal-Carrillo: percussion, Alex Babbit: Bass/Flute, Corey Allbritten: Clarinet, Electric Guiter, Aux Instrumentation) to help her execute and write songs that have been lovingly referred to as "Psychological Death Metal" by Lumpen Radio. Often within a soft, melodic sheath she offers a sharp word to the parts of herself, and us, that are questionably comfortable. 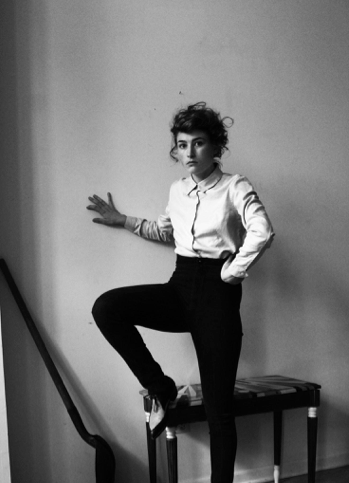 - Jessica Hopper, Chicago Tribune, wrote “…her otherworldly, witchy voice. It undulates, coos, squeaks and moans — it sounds like it used to be feral and now it's just barely tamed.” Recently her work has been published (35mm from tour with Manual Cinema and writing/lyrics), and her book with music is available at marencelest.bandcamp.com or marencelest.com. To learn more about The End of TV, visit manualcinema.com, follow the company on Facebook at facebook.com/manualcinema, on Instagram at instagram.com/manual_cinema and on Twitter @ManualCinema.